To buy a home at a fraction of Boston-area prices. Well, we moved South all right, but only by a few miles – to historic Plymouth, Mass., “America’s Hometown”. Why? 1. We were able to buy a superb Plymouth homeoverlooking the ocean for much less than the amount that we sold our Boston home. Plymouth is a great value. With the difference in price between our Boston and Plymouth properties, we can buy a Savannah home to spend winters and rent it during its stifling hot, humid summers – when vacationers actually rent down there, we learned. Or we can take extended trips south to tropical locations for many years and still have money in the bank from selling our Boston house. Or we can opt to experience the (mostly) lovely winters in Plymouth now that we have a two-car garage. Like us on Facebook for useful local real-estate news & tips. 2. We did not want to leave Boston completely. We still love the city of Boston, our dear friends, Boston sports and night-life, and the best doctors and hospitals in the universe (Nevertheless, I have been pleasantly surprised that my new Plymouth doctors equal or exceed the Boston doctors I had left). 3. The anticipated real-estate price climb: Both we and real-estate authorities believe that Plymouth neighborhoods have great appreciation potential, fueled in part by aggressive economic development plans. Plymouth will benefit from spillover pricing from high-priced towns to the North. 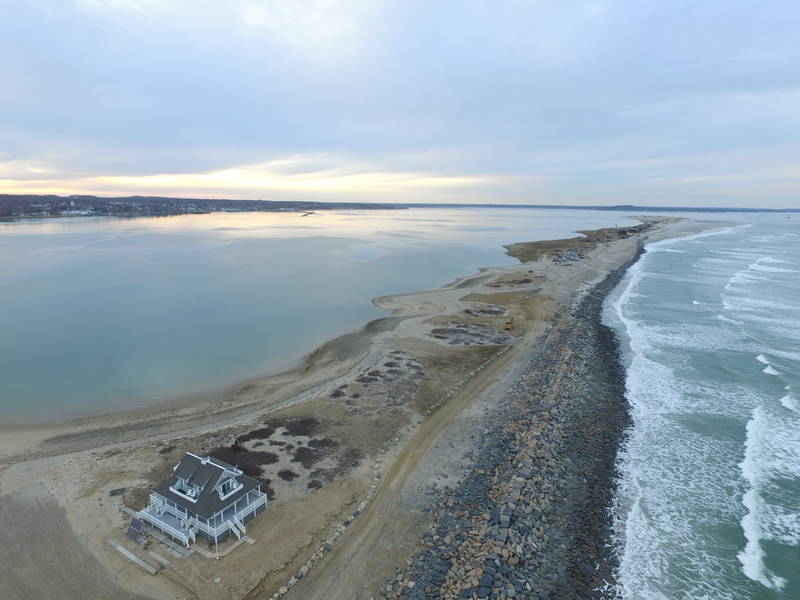 As Duxbury residents become empty nesters, many will opt for Plymouth to escape higher property taxes and gain lower-priced housing. “Cape people” are discovering that Plymouth gives them the Cape lifestyle, plus year-round nightlife, museums, etc. — all without crossing the bridge traffic and living closer to Boston. 5. 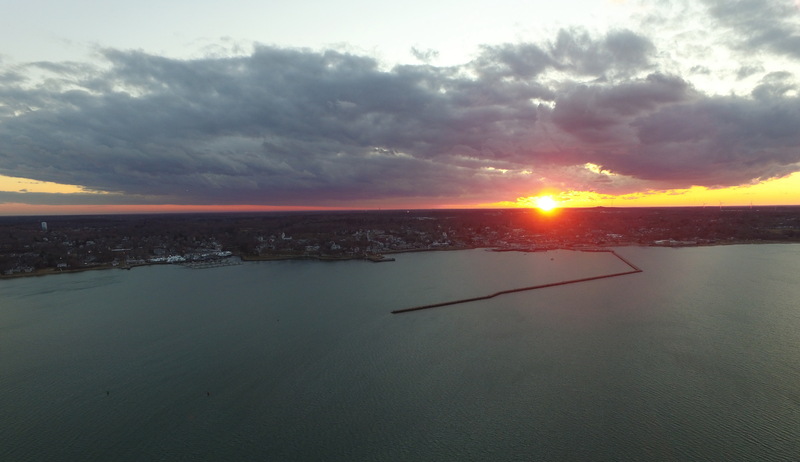 Beautiful walking paths, biking trails and lots of gyms: Within the downtown, great walks exists along the water including the large flat-stone breakwater (particularly at sunsets) that extends into Plymouth Harbor. En route to its end, one can view the sights and activity in the harbor. A must: Walking the Plymouth Beach peninsula, past the beach goers to the wide, stunning sand dunes. The attractive Town Brook path starts from the downtown waterfront, traverses past the Grist Mill and meanders all the way to Billington Sea — a lake that served as the Pilgrims water supply. Among its many gyms, we belong to both Planet Fitness and Plymouth Fitness with its indoor saltwater pool. 6. 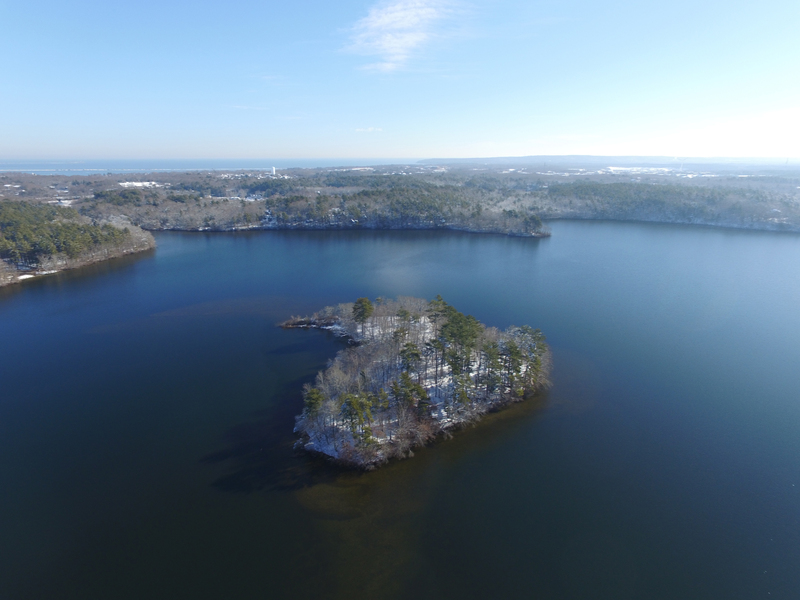 Supplementing its many ocean beaches, Plymouth has 365 lakes and ponds to explore, swim, kayak and fish. A big part of Beth and my downsizing was not only selling our Boston home but our outrageous turn-of-the-century lakefront lodge in Maine (which attracted friends, family and freeloaders). The urge to hold onto this property was strong. Yet the Maine lodge had a short season. Plymouth is open year round. And now we have the best of both worlds – ocean and lakes. 7. The award-winning Pinehills includes a 55+ community with its own village of shops and restaurants (LeBistro Wine Bar among them), a community center, lots of open space, and biking and walking paths. Pinehills hosts the well-known Mirbeau Inn & Spa, and abuts two 18-hole golf courses, ranked among “The Top 10 Best Courses” by Golf Week. One is sculpted by (Jack) Nicklaus Design. Plymouth hosts many other golf courses. 8. Plimoth Plantation Theater, not your shopping-mall movie house, shows a venue of popular independent films, sells wine and beer, and offers a place to meet interesting people. 9. 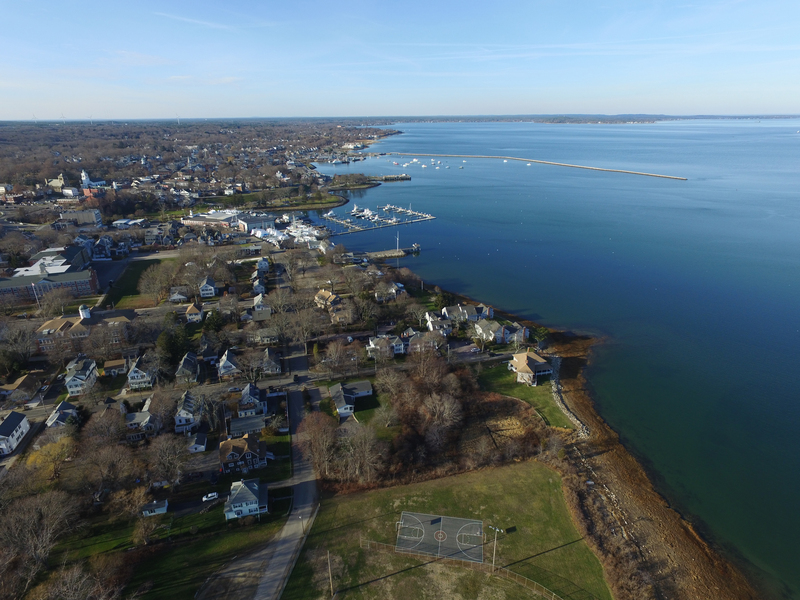 Easy access: Plymouth is large in land size, with diverse neighborhoods, many along the ocean. Yet, it’s easy to get around, traveling Route 3. The highway is dotted with exits to convenient shopping plazas and the waterfront downtown. Plymouth has everything the Cape has and more, and you don’t have to drive over congested Cape bridges to get here. Plymouth folks have a tighter Boston connection than Cape residents. Admittedly, driving to Boston during rush hour can be a nightmare. Many working Plymouth residents, seeking cheaper housing, commute to Boston, taking the car, bus or commuter rail. Plymouth has a strong Chamber of Commerce, economic-development office and extensive plans to promote the 400th anniversary of historic Plymouth in 2020. This outreach will draw increased attention to Plymouth as an optimal relocation destination. 11. Plymouth has history. Never mind the Pilgrims and Mayflower. Explore Cordage Park Center – a converted factory building by the water that once contained the oldest rope manufacturer in the US. 12. Plymouth has whale watching and deep-sea fishing excursions. And a ferry to Provincetown to bike on the stunning National Seashore trails among the sand dunes, rarely out of sight of the ocean. 13. Plymouth has many places to kayak and explore in our ski boat. We love Plymouth. Come down and check it out. Or see Beth and me about relocating here or anywhere along the Eastern seaboard. For more information contact Steve Feldman, at 617-417-3125 and SteveF@kw.com or Beth Davis at 617-504-8499 and Beth.Davis@kw.com.